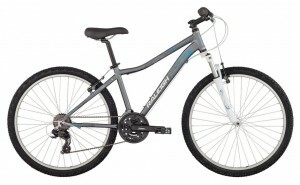 The Raleigh Talus 4.0 is ready to take you off-road in awesome style. This sleek steed is made from lightweight aluminum and sports an SR Suntour XCT suspension fork with 80mm of travel for trail-conquering fun. Plus, this singletrack-ready Raleigh bike boasts a precision-shifting Shimano drivetrain with 24 gears that let you breeze up steep grades and cruise on the flats. What’s more, the choice wheels make pedaling easy, while the knobby tires grip great and the Tektro disc brakes deliver awesome stopping power and control for the descents. The Raleigh Talus 3.0 packs major fun and adventure in an awesome package. Its aluminum frame is strong and light, while the front suspension provides both comfort and control when the ride gets rough. A Shimano 21-speed drivetrain, Shimano shifters and reliable linear-pull brakes make this bike easy to handle whether you’re cruising down the road or bounding up a trail. 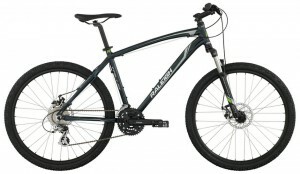 The Raleigh Talus 2.0 is all about real fun on two wheels. 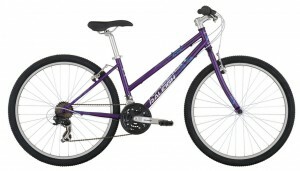 Its steel frame is strong and ready to cruise, while the rigid steel fork is speedy and efficient so you can get to your destination on time. Plus, a Shimano 21-speed drivetrain, Shimano Revo shifters and reliable linear-pull brakes make this bike easy to handle whether you’re cruising down the road or cranking up a trail. 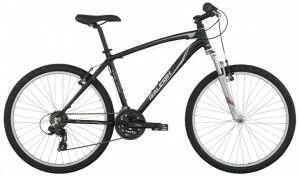 The Raleigh Eva 3.0 packs major fun and adventure in an awesome package. The aluminum frame is strong and light, while the front suspension provides both comfort and control to handle any and all bumps. 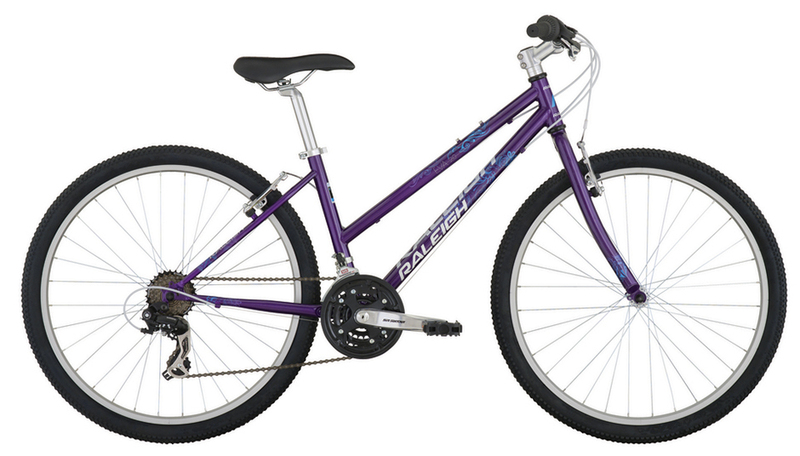 A Shimano 21-speed drivetrain, Shimano shifters and reliable linear-pull brakes make this Raleigh bike easy to handle whether you’re cruising down the road or bounding up a trail. The Raleigh Eva 2.0 is all about real fun and genuine value. The steel frame is strong and rides smooth, while the rigid steel fork is quick and efficient, helping you arrive at your destination on time. A Shimano 21-speed drivetrain, Shimano Revo shifters and reliable linear-pull brakes make this Raleigh bike easy to handle whether you’re cruising down the road or cruising up a trail.